Eucalyptol, also known as 1,8 cineole, has a fresh, strong eucalyptus, camphoraceous, minty odor. It is a cyclic ether monoterpene. Eucalyptol has been popularly used on the skin, gums, or other topical areas. The terpene is toxic to several species of bacteria including Staphylococcus aureus. Further research has proven eucalyptol to be a potential treatment for Alzheimer’s, as it lowered the inflammation caused by amyloid beta plaques. eucalyptol is also an anti-inflammatory for sinuses and the digestive system. As an antioxidant, eucalyptol was effective at preventing lipid oxidation. In addition, eucalyptol has been effective in battling leukemia and colon cancer cells. Asthma remedies have also been used with eucalyptol. Eucalyptol demonstrated bactericidal activity against Escherichia coli, Enterobacter aerogenes, Serratia marcescens, and Staphylococcus aureus, proving to be a good anti-bacterial agent. Eucalyptol was used as treatment against PC12 brain cells exposed to amyloid beta plaques. Molecular analysis showed the terpene lowered the expression of NOS-2, COX-2 and NF-κB. In addition on the cellular level proinflammatory cytokines TNF-alpha, IL-1 beta, and IL-6 were reduced. Eucalyptol was able to mediate paw oedema and granulomas in a mice model. Eucalyptol was proven to lessen the effects of rhinosinusitis in a clinical trial. In regards to acute pancreatitis eucalyptol effectively reduced cerulein-induced histological damage, pancreatic edema, NF-κB expression, levels of MPO activity and MDA, while replenished the GSH depletion. Eucalyptol was also effective against colitis in rats upon induction by trinitrobenzene sulfonic acid (TNBS). A marked reduction in gross damage scores and wet weights of colonic segments were shown in rats pre-treated with the terpene. Eucalyptol eluted to lessening the effects of cupric ion-mediated oxidation of lipoproteins, while simultaneously enhancing ferric ion removal ability in high-density lipoprotein. Also less lipids were found in the bloodstream in a fish model. This can also prove useful in mitagating arteriosclerosis. Eucalyptol demonstrated toxic activity against A. Albopictus larvae, with a LC50 = 267.130 ppm. Apoptosis of human leukemia Molt 4B and HL-60 cells was induced by eucalyptol. Morphological changes showing apoptotic bodies and fragmentations of DNA were observed. Also in human colon cancer cell lines HCT116 and RKO eucalyptol was effective as evidenced by WST-8 and BrdU assays. Through inactivation of survivin and Akt, and activation of p38, these molecules induced cleaved PARP and caspase-3, ending in apoptosis. In a lymphocyte and monocyte cell lines, eucalyptol significantly inhibited cytokine production of TNF-α, IL-1, IL-4, and IL-5. This can be inferred to control airway mucus hypersecretion by cytokine inhibition which would also be effective for sinusitis and COPD. There was also a clinical trial that found eucalyptol to be effective as well. Flammable liquid and vapor. Store in a well-ventilated place. Keep cool. Keep container tightly closed. Keep away from heat / sparks / open flames / hot surfaces. No smoking. Ground / bond container and receiving equipment. Use explosion-proof electrical / ventilating / lighting / equipment. Use only non-sparking tools. Take precautionary measures against static discharge. Wear protective gloves / eye protection / face protection. In case of fire: Use dry sand, dry chemical or alcohol-resistant foam to extinguish. IF ON SKIN (or hair): Take off immediately all contaminated clothing. Rinse skin with water / shower. Dispose of contents / container to an approved waste disposal plant. 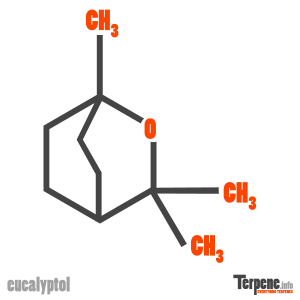 Read through our forum on Eucalyptol below, or start your own topic. This forum contains 46 topics, and was last updated by Lillysom 1 day, 15 hours ago.